SENSOR+TEST is the leading forum for sensors, measuring and testing technologies worldwide. The trade fair with about 575 exhibitors from 28 nations imposingly presents the entire spectrum of measuring and testing system expertise from sensors to computers. New components are discussed, as well as the latest assembly and manufacturing technologies for new designs. InBeCon GmbH presented together with other partners of the network „Schützen und Veredeln von Oberflächen“. 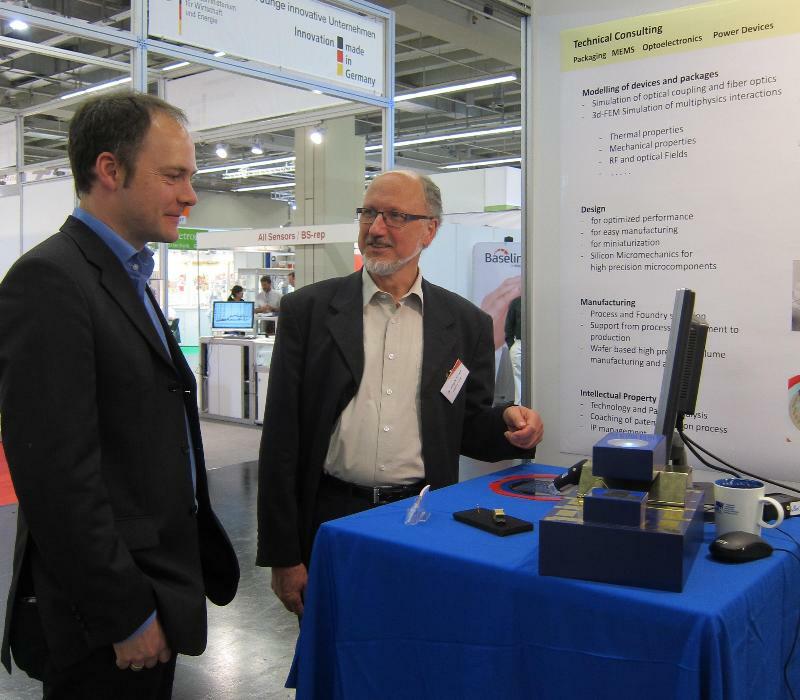 High precision micro-optical components were presented as examples of the various development activities of InBeCon GmbH. Several new contacts were established at the well-attended fair.